TAVR is a relatively new procedure. It is critical that patients and families be informed about the benefits, risks and preparation for a Transcatheter Aortic Valve Repair (TAVR) procedure. 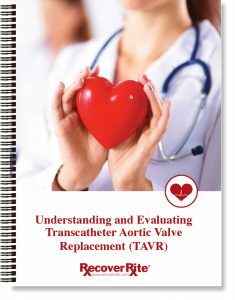 This booklet promotes interaction with the patients and provides pre-testing information, a description of the procedure and a pre-TAVR checklist. Having a product like this for your patients being considered for TAVR allows recognition and understanding of risk tolerance and helps manage procedure expectations.